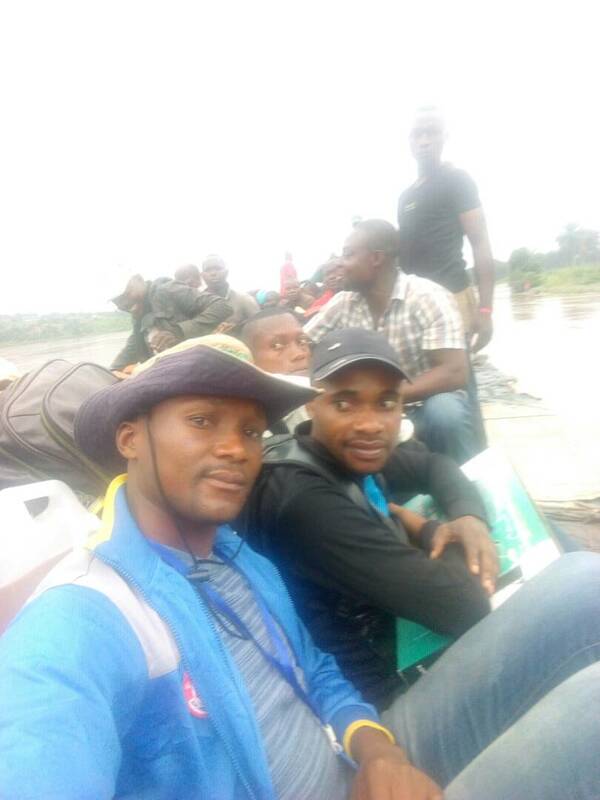 Joseph (L), Daniel (R) crossing the Kasai by canoe. After spending the last six years in Kinshasa, Daniel and Joseph returned home to Ndjoko Punda as “rebuilders.” While away from home, all their time was spent in preparation for their return. They furthered their education, faced many challenges, participated in a local church in Kinshasa, and waited patiently for God’s timing. Today in Ndjoko Punda they quickly engaged with the people to help rebuild and restore the larger community. They assisted the church and community with ongoing projects and began additional projects. Both young men are serving God with spiritual passion through their specific talents. Daniel has been trained in theology. He is gifted in areas of teaching and evangelism. Joseph has great technical skills and can fix about anything. At the present time, Daniel has focused on the establishment of a sewing school for the women of the community. The local hospital provided classroom space for the school. Forty women from several area churches signed up. Some come as far as twenty kilometers away to attend the school. 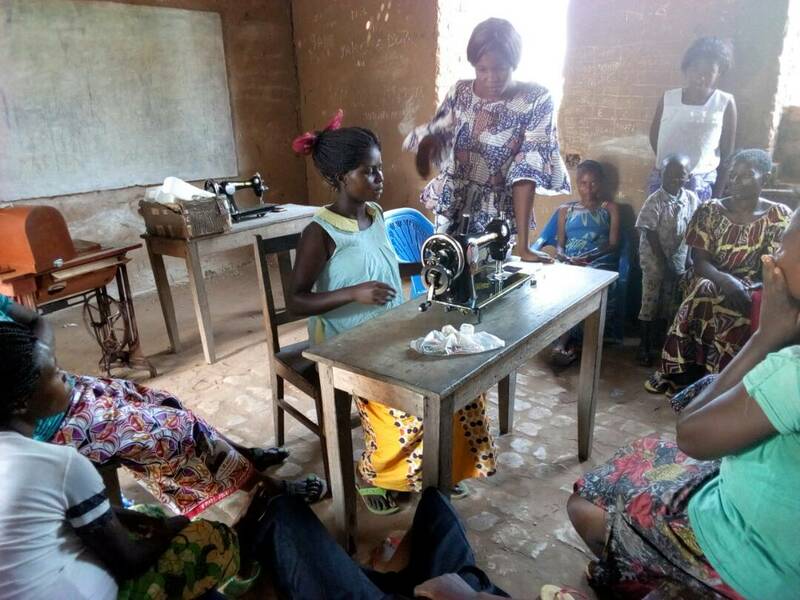 The wife of Ndjoko Punda’s medical doctor has the training and the skill to teach these sewing classes. Hope for Congo purchased two sewing machines for the school. However, due to the response there is an immediate need for another eight machines. Joseph’s first job was to repair the hospital generator. Since he made it operational again it has provided electricity for the hospital. He helped to provide electricity to other community buildings, too. Joseph also began an agronomy and animal husbandry program utilizing interested people. 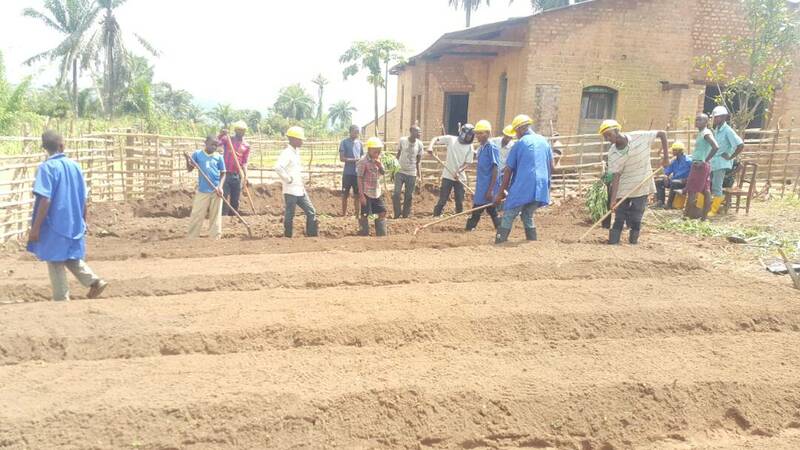 The photo on the left shows them preparing garden beds for planting. Seeds have been purchased, too. Goats and poultry have been obtained to begin the breeding program. Daniel and Joseph are involved in the local church through music, teaching, and evangelism. Because these two young men represent the next generation of leadership they give the people hope for the future. Guesthouse on the left. Entry road to the mission ends at the church. This road and several others are being repaired. 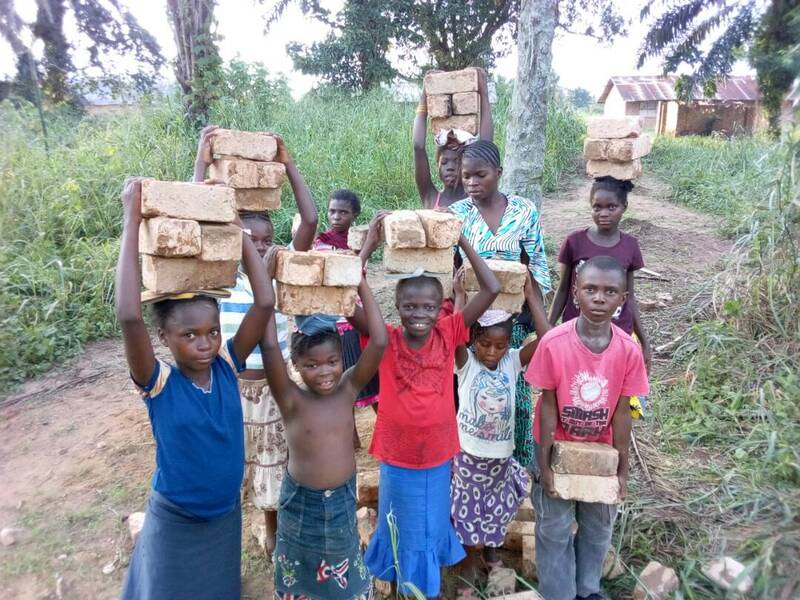 The children in the featured photo (at the top of this article) are carrying bricks to repair the guesthouse. A major storm damaged the outside walls. This guest house (formerly known as Dr. John Zook’s house) is being renovated to include a sewing classroom. Hope4Congo has contributed money towards the installation of windows and doors. 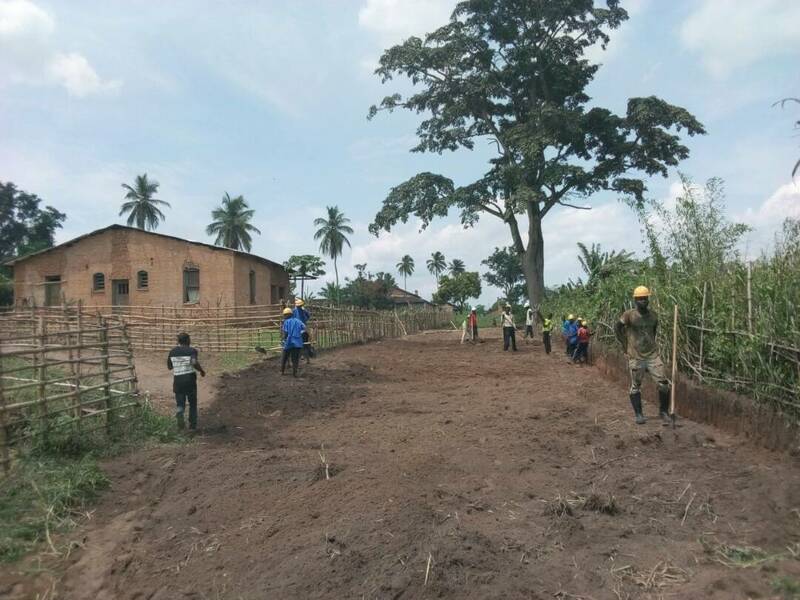 Hope4Congo will continue to provide periodic reports and updates on the progress being made at Ndjoko Punda. Your prayer and financial support have made this happen, and we encourage you to continue to support these two young men as well as Hope4Congo as we look to expand our efforts.